CBS Custom BioGenic Systems V-1500 Liquid Nitrogen Freezer Dewar Series 2300 . 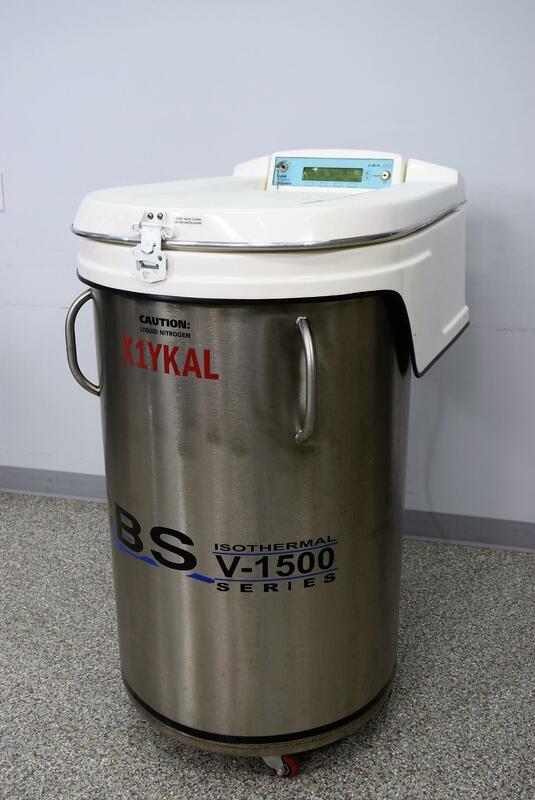 New Life Scientific, Inc.
Our in-house technician inspected and tested this CBS V-1500 Isothermal Liquid Nitrogen Freezer, confirming it to be functional. Technician tested solenoid, interface and temperature sensor lid - all are functional.